Ayurvedic dietary recommendations for vata-pitta type individuals follow a common sense approach, requiring small changes to your food choices and eating habits. The importance of a wholesome diet that includes every food group is heavily emphasized, but there are clear guidelines on specific foods and beverages that should be included or limited. These recommendations are based on the unique properties of your dominant dosha and an analysis of the unique properties of foods, which influences their interaction with the doshas. When planning an Ayurvedic vata-pitta diet, we look at 3 important qualities or characteristics of food – Rasa or taste, Virya or energy, and Vipaka or post-digestive effect. Understanding this Ayurvedic classification of food and your unique doshic makeup will allow you to make informed dietary choices. This can be a bit tricky when you’re just getting started, which is why it helps to refer to a dosha-specific diet guide. So, here’s what every vata-pitta type individual should keep in mind. As a vata-pitta type individual, you are vulnerable to imbalances of both vata and pitta aggravation. Your diet should therefore include foods that possess qualities to counter your dominant doshas’ influence. Since vata’s qualities are cold, dryness, lightness, and mobility, while pitta’s are heat, lightness, intensity, and fluidity, your foods should be a mix of both heating and cooling, moderately moist or oily, grounding, and stabilizing. According to Ayurveda, sweet tastes have a pacifying effect on both vata and pitta doshas and should be included in any vata-pitta balancing diet. At the same time foods with sour, salty, and bitter tastes should be consumed in moderation and in equal proportions to maintain a balance of both doshas. In case of vata aggravation, you can increase consumption of sour and salty tasting foods, while you can use bitter and astringent tastes to pacify pitta. For a dual dosha type, modifying your diet according to the changing season is particularly important as certain seasons are associated with a specific dosha. For example, fall is associated with vata aggravation, which is why you would tweak your diet to favor more foods that pacify vata. On the other hand, pitta pacifying foods should be increased during the hot months of summer and possibly late spring. As we mentioned earlier, Ayurveda emphasizes a wholesome approach to dieting that includes all food groups. Although some foods and food qualities do pose a risk of aggravating your dominant doshas, they should be included in your diet. However, these foods should be consumed in limited quantities. Foods that can aggravate both vata and pitta include those with pungent tastes. This is because the taste is associated with not just a heating energy, but also with light and dry qualities that can accentuate the qualities of your dominant doshas. As a vata-pitta type, you should only consume food at a moderate temperature – slightly chilled or lightly warmed. Extreme heat or cold are both bad and can cause imbalances, aggravating either one of the doshas. Similarly, it is best to moderate your intake of oils and fatty foods, without restricting consumption drastically. Stimulants cause further destabilization of your moods and body processes and should therefore be limited. The best way to start your day is with a cup of herbal tea with herbs, using herbs that pacify both vata and pitta doshas. This would include herbs like shatavari, guduchi, and vidari. Although lunch is regarded as the most important meal of the day, a healthy breakfast helps to keep your energy levels stable through the morning. 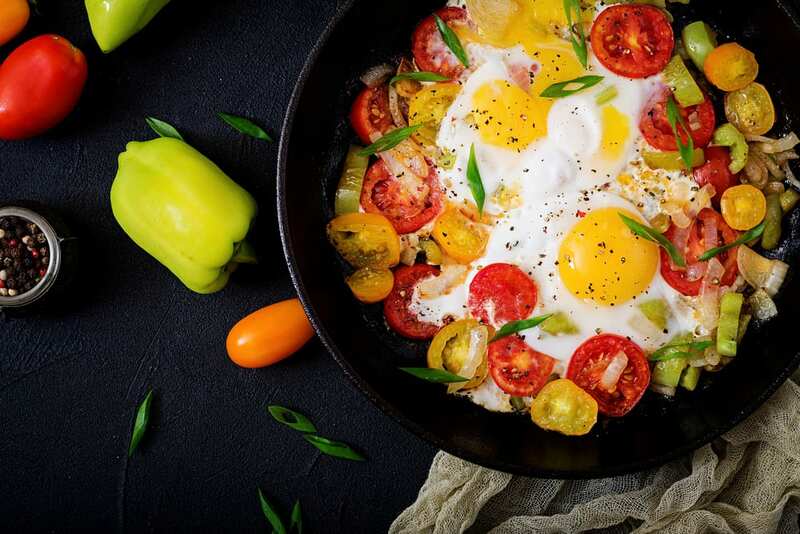 There are a number of healthy breakfast foods to choose from, including fried eggs with sautéed or steamed vegetables, and whole grain cereals with milk or coconut milk. Coconuts and avocados are both extremely healthy additions to a vata-pitta diet, as they help balance both doshas. For garnishing, you can use spice and herbs like coriander, garlic, and cumin seeds. Just keep in mind that breakfast should be light and is not meant to leave you feeling full; it should simply pacify your hunger and provide sustenance until lunch. Ayurveda regards lunch as the most important meal of the day, so no matter how busy your schedule may be, try to have a wholesome and balanced meal that includes various food groups. 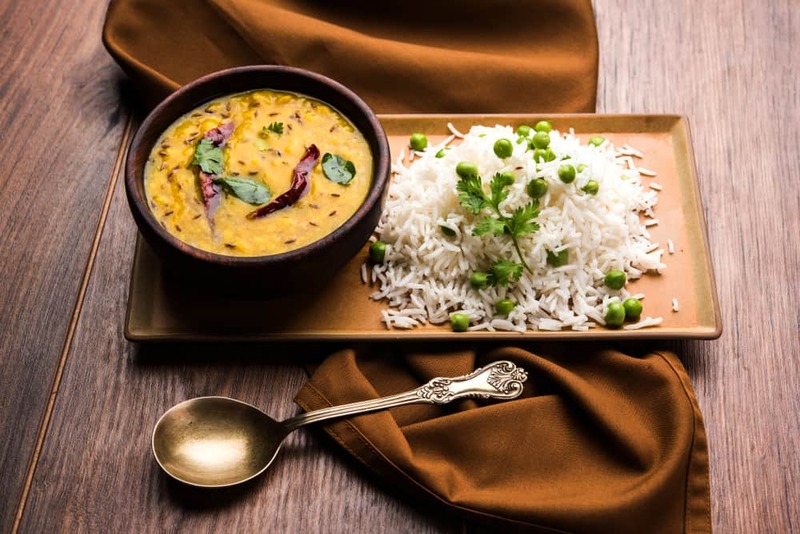 The ideal foods to add to your lunch include the likes of basmati rice, with split yellow múng dal and ghee. This should be accompanied with sautéed or cooked vegetables like sweet potato, leafy greens like lettuce, broccoli, spinach, and parsley, radish, turnips, and beets. While raw salads are healthy, they can pose a problem, especially if vata is more dominant than pitta. If rice does not suit your taste buds or constitution, you can also use quinoa or whole grain tortillas. Cooked foods and salads can be garnished with cumin seeds, coriander, garlic, fennel, turmeric, and a dash of lemon juice. You can follow your meal with a drink of buttermilk or an herbal tea. With a dual constitution, it is important to look for signs of imbalance and to make dietary adjustments to treat aggravation of either dosha as and when they arise. Although dinner is an important meal, it should be smaller and lighter than your lunch. Your dinner can include similar foods as at lunch, but the serving size should be significantly smaller. In addition to rice or tortillas, you could also include a small bowl of soup or stew. 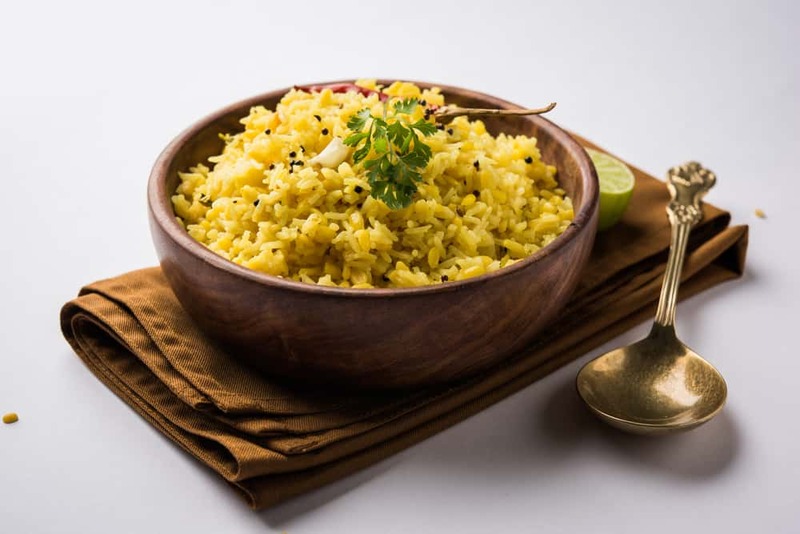 Kitchari, which is a traditional Indian dish that includes rice, cooked with chopped veggies and spices is also a fantastic option and can be tweaked to meet your doshic requirements. Traditionally cooked with herbs and spices like black mustard, cumin, cinnamon, fennel, coriander, and fenugreek seeds, you can choose to add or include more of those spices that help balance both vata and pitta. It can help to follow your dinner with a glass of herbal tea, favoring herbs with a stabilizing effect that will also help calm your senses and facilitate sleep. Chamomile, cardamom, fennel, and licorice are some good options. 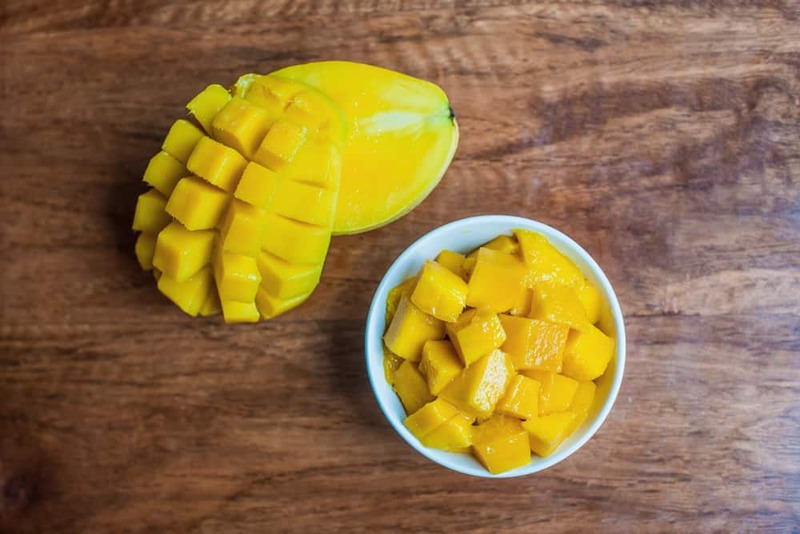 Juicy fruits make for great snacks, but you should stick with sweet ripe fruits like mangoes, avocado, peach, figs, papayas, pomegranates, and so on. Fruits with an astringent or sour taste like raw apples and cranberries should be restricted or can be stewed. Dry fruits and nuts are also extremely nutritious, but should only be consumed in small quantities. You can also include light snacks like sesame seed, peanut or almond butter on chapattis, toast, or whole grain tortillas. If you need to snack after dinner, it is advisable to limit your snacks to a handful of dry fruits and nuts and seeds like almonds, flaxseeds, pumpkin seeds, and sunflower seeds. It would also be a good idea to wash any evening snacks down with a glass of boiled milk, garnished with ghee, ginger, and honey.